Leon’s is targeting millennials with a content marketing campaign this holiday season. 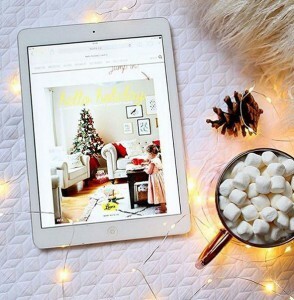 At the centre of the campaign is “Hello Holiday,” a 90-page digital magazine that features shoppable products, real life stories and simple DIY projects shot within the homes of bloggers, including Kassandra Dekoning of The Little DeKonings, Bethany Gier from This Little Estate and Joanna from Lazy Mom’s Blog. Autumn Hachey, content marketing manager at Leon’s, said the idea for the 90-page “Hello Holiday” came from the insight that millennials are visiting blogs and social media pages for home DIY projects, but that they are often very difficult to create for the average person. The campaign, which has media from OMD, creative by Taxi 2 and Sweet Escape Studio, video creative from Rooftop and Praxis PR on public relations, is the third such content marketing push for the retailer since it launched its Hello Yellow blog in mid-2015. Last year the blog evolved into the first influencer-filled digital catalogue for Leon’s. According to the results the retailer provided, the average transaction value for “Hello Holiday” last year was the highest of all traffic channels and the e-commerce conversion rate from the catalogue was higher than email, paid search, social or display for the retailer during the same period. Last June Leon’s launched “Hello Sunshine,” leveraging Pinterest and Instagram advertising to promote the digital magazine. The promoted Instagram content had a 16% engagement rate, higher than the benchmark engagement rate for Leon’s of between 1% and 3% on the platform. To date the “Hello” series of digital magazines has seen 80,000 reads, with the most recent title having an average readership time of more than five minutes. What’s new about this year’s content marketing push is that it has evolved beyond the digital magazine and social media push to also include a print edition and experiential blogger event, says Hachey. A 16-page version of “Hello Holiday” has been polybagged with the December issue of Style at Home. Brand research found the print copies of design magazines over-indexes with millennial readership – a key target for the brand, which historically over-indexes on the over-45 crowd, says Andrea Graham, marketing executive at Leon’s. On Monday some of the bloggers featured in “Hello Holiday” will be on hand at a Do-it-Yourself Crafternoon event at the Gladstone Hotel in Toronto. The day will feature workshops on how to create things from the magazine, like DIY potpourri and gift wrap. In addition to the print version and crafternoon event, “Hello Holiday” will also be promoted through paid media on Instagram, Pinterest and Facebook, as well as email marketing and an appearance on Rogers Media’s Breakfast Television.